Westmoreland County’s early land records indicate that the present site of the Inn at Montross was originally part of a 1200-acre property, owned by William Averet (who forfeited the tract due to his abandonment of it). The property was subsequently granted to Thomas Dios around 1664 as payment for transporting 24 people from England to Virginia. Around 1695, records show that 110 acres, known as the “Tavern Tract” was deeded to Patrick Spence. 80 acres of the 110-acre tract was later dated to John Spence. Although the property has changed hands many times through-out the ages, it has continually fascinated us all and remains to this day as a prominent landmark in Montross. There are few records to indicate who operated it as a tavern, when it was a tavern and what stood on the site prior to the construction of the current Inn around 1800. The grand old three story structure has endured the test of time, functioning as a tavern, hotel, restaurant, private residence, boarding house, school and even apartments. Around 1975 it was remodeled and returned to use as an Inn and restaurant. In 2011 it was completely renovated and this is what you are enjoying today. 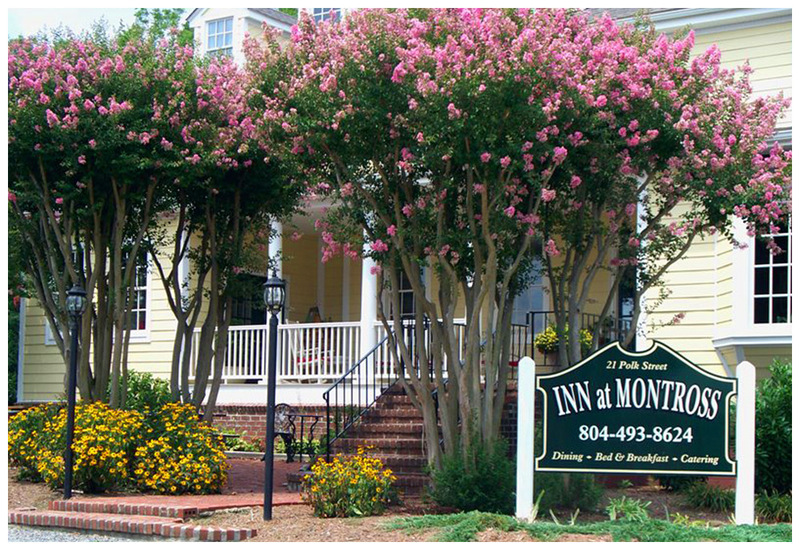 The Inn at Montross is located in the heart of the Northern Neck. It offers five beautifully decorated guests rooms, a fine dining restaurant on the main floor, a Pub in the basement, as well as on and off-site catering. Copyright © 2019 Inn at Montross. Designed by	Klasik Themes.